Performers include: Tom Hardy, Oona Chaplin, David Hayman, Michael Kelly, and Jonathan Pryce. This dramatic TV series revolves around an adventurer who returns to England to seek vengeance for the death of his father. Set in 1814, James Keziah Delaney (Tom Hardy) returns to London after spending 10 years in Africa. Believed to be long dead, he has been to the ends of the earth and has come back irrevocably changed. James returns home to London from Africa and finds that his father, Horace Delaney, has died. Meanwhile, England is at war with France and the United States. Wanting to rebuild a life for himself, James is set to inherit what is left of his father’s shipping empire. James’ return threatens to disrupt the plans of his half‐sister Zilpha (Oona Chaplin) and her husband Thorne Geary (Jefferson Hall). His presence also threatens the political ambitions of the mighty East India Company, chaired by Sir Stuart Strange (Jonathan Pryce). With enemies lurking in every dark corner, James must navigate increasingly complex territories to avoid his own death sentence. What do you think? Do you like the Taboo TV show on FX? Do you think this TV series should be cancelled or renewed for another season? Love Tom Hardy…Can’t wait for season 2!! My husband and I were addicted to Taboo. It was so different from all the other shows on tv. Interested besides informative. Why is it taking so long to either tell us fans is it cancelled or renewed? Very frustrating. I would like to see season 2! I love this show and really hope it will not be cancelled. 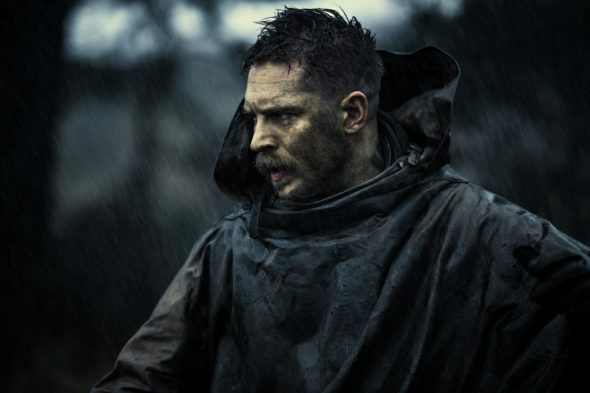 Tom Hardy’s character is so interesting and mysterious. Time period is my favorite also. great show if cancelled, will not watch fx. I really want to see at least 1 more season of Taboo , it is good and dramatic with a very good actor Tom Hardy !